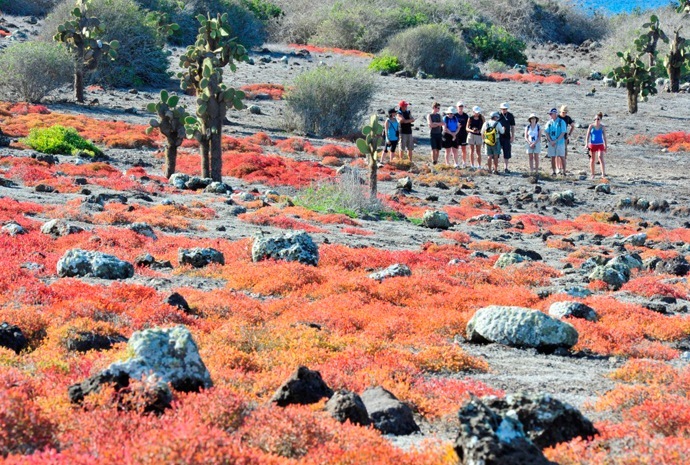 There is a massive variety of plants to be seen on the Galapagos depending on which area you are visiting. Below we have listed some of the most prominent species and the areas in which you are most likely to find them. It has the highest salt tolerant leaves of all the mangroves the leaves and is equipped with special salt-extracting glands. Trees grow to 65 ft (20 m) in height; the long spreading branches are covered by a dark brown bark. The black mangrove has the highest salt equipped with special salt-excreting glands. Red Mangrove is the most common in the Galapagos named for its reddish wood. This species is used around the world as a source of charcoal and tannins for leather working. Trees grow to 72 ft (22 m) in height, yet red mangroves also can be seen as small bushes. Button Mangrove or Buttonwood is not a true mangrove, yet this tree usually found in the higher mangrove elevations. They have dark gray bark and leave which are either oval, leathery and smooth green or sharply pointed with salt glands at the base. 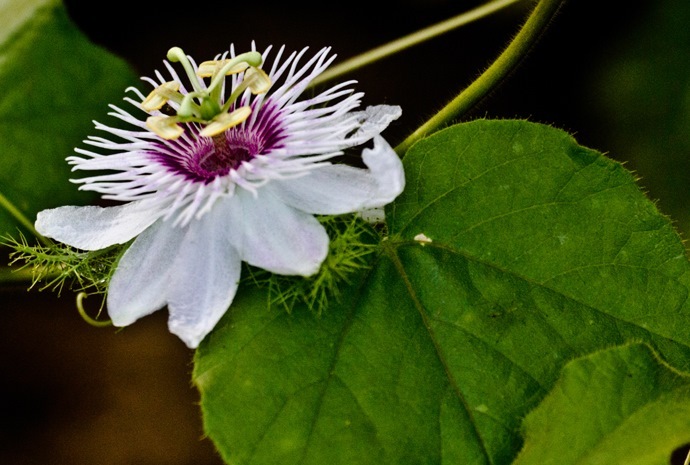 Buttons have green flowers that mature into a round purple fruit. White Mangrove grows into a shrub with aerial roots close to the water. They thrive in areas with infrequent tidal flooding. Leaves are smooth, oblong and light green in colour with notched tips. This creeping vine is common on most dune areas. 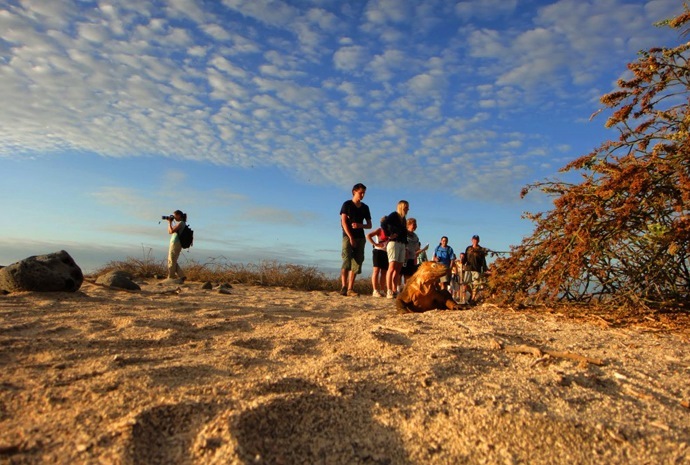 The morning-glory flowers are amongst the largest in the Galapagos Islands. This species is important in stabilising sand dunes. The saltbush is a sprawling shrub, which often forms dense thickets along shorelines perfect for frigatebird and pelican nesting sites. Some of the Guides will call Cryptocarpus, part of its Latin (scientific) name. Depending on the season, the sesuvium ground vegetation changes its colour from intense green in the rainy season to orange and purple in the dry season. The small, star-shaped flowers are quite distinctive. It is seen near the shore of islands, most notably on South Plaza. The candelabra cactus is well-defended with a barrier of spines on its lower stem. The green or red flowers are 1 - 2 inches (2-6 cm), which open before dawn, develop into fruit of the same colours. It is readily observed on the cliffs at Academy Bay, outside the town of Puerto Ayora, Santa Cruz Island. The lava cactus is considered a "pioneer" or coloniser plant. With bright yellow tipped colouring and microphone shapes, the clumped formations. 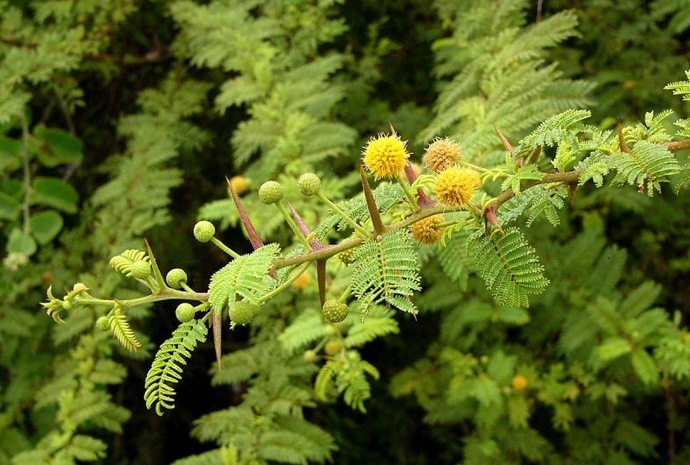 The plant has soft furry spines and grows in clumps to a height of about two feet (60 cm). New Growth is yellow, turning to brown, which darkens to gray with age. Flowers are white, but last only hours. 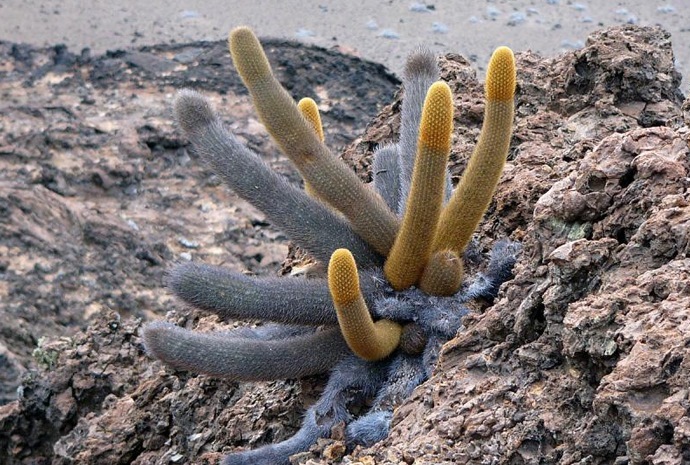 Lava Cactus can be found on Fernandina, Genovesa, Isabela, Pinta, Santiago and Bartholomew Islands. Prickly Pear Cactus (Opuntia) is the most common cacti in the islands. With its yellow flowers it grows like a shrub, except on islands where herbivores are threat then trunks can grow to 5 ft tall. The Prickly Pear Cactus is the staple of the Land Iguanas & Tortoises' diet. The flat pads of the Opuntia shrubs are also covered with clusters of spines; this armour notwithstanding, the prickly pear pads are a major food and water source of land iguanas as well as tortoises. The yellow flowers develop into an orange-red thorn covered fruit. The cutleaf daisy is named for the deeply and irregularly lobed margins of its leaves. It is endemic and only found on Punta Cormorant, Floreana Island. Lantana is a endemic shrub that has beautiful little white flowers with a yellow centre and is readily observed on Genovesa Island. The indigenous species was once prolific on Punta Cormorant, Floreana, but is now in some danger; an introduced Lantana species is winning the competition for the available water and taking over. LeafLeather Leaf is a large shrub or small tree with flat yellow green leaves. The net effect here is energy conservation, minimizing the leaf surface area exposed to the heal of the sun, also reducing water loss. ManzanilloThis large fruit tree is the only indigenous toxic plant in the Galapagos and is called the "poison apple" tree. Touching the sap causes dermatitis, and eating the fruit can be lethal to humans. Grows on lava fields and the giant tortoise loves Manzanillo fruits. This endemic plant looks more like a weed and is the most widely-distributed colonizer in the Galapagos; it is seen growing on many the lava fields, especially at Sullivan Bay, Santiago Island. 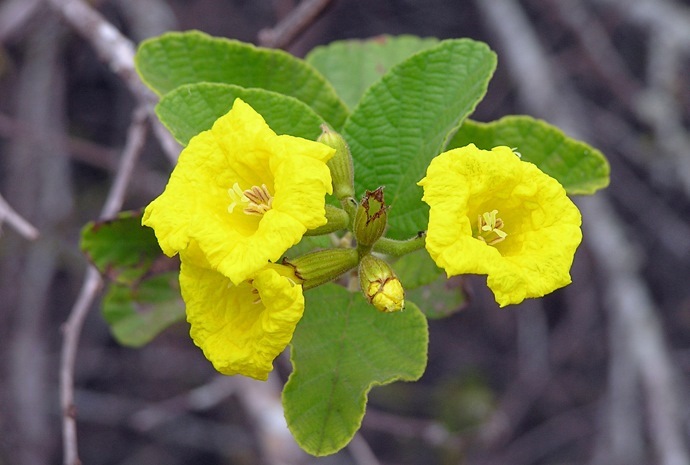 There are five species and 4 subspecies of this endemic plant in the Galapagos. The palo santo is related to frankincense, and the sap contains an aromatic resin. The branches are shipped to the mainland where they are burned as incense in churches. Palo Santo looses their leaves during the dry season to help stop water loss. Palo Verde is characterized by long, green, leafless stalks, giving rise to its name. The arched branches have several extremely sharp spines, which have impaled many a juvenile blue-footed booby during an attempted flight. These trees are common along the trail at Punta Cormorant, Floreana Island and North Seymour. 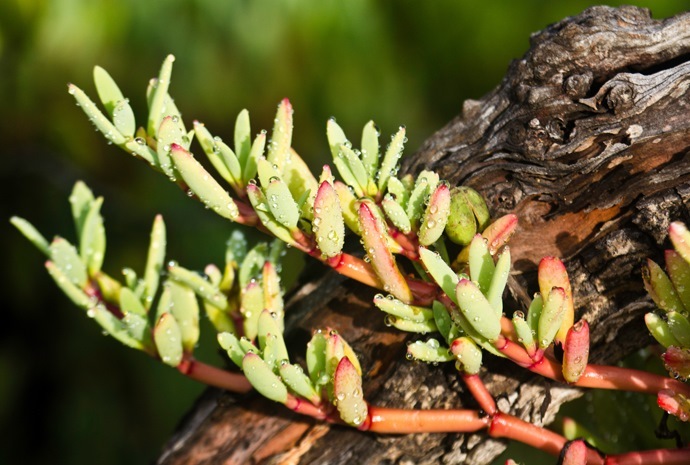 Tiquilia is an endemic woody herb recognized by the dull grey colouring and mat-like growth. Pioneer plant grows in sandy areas. Tribulus is also known as puncture vine. It has sharp spines. The seed of this plant is so hard that only medium ground finches with relatively large beaks could crack them open, and it provided them with about the only available food during a very dry year on Daphne. The Bracken Ferns are common on the higher altitudes. There are about 100 fern species in the Galapagos. Many of those seen near the road in the moist Highlands of Santa Cruz Island are bracken ferns, characterized by their large curving fronds. The Miconia is endemic to the Galapagos, but since the arrival of man it has become the most endangered plant in the islands. The grazing of cattle in the Highlands of Santa Cruz and San Cristobal has taken its toll on the Miconia, which is now endangered. Scalesia is the scientific name of this short green plant that has adapted to dry habitat. Its trunk and branches are covered with moss and lichens. Related to daisies, several species have beautiful yellow flowers, characteristic of the sunflower family to which they belong. There are about 20 different kinds of scalesia found in the Galapagos. Scalesia Trees have been greatly reduced in numbers since humans arrived in the islands. With them came pigs and goats, which devour the young plants and feed on older plants.